US President Donald Trump on Monday jokingly threatened during a speech to thousands of Boy Scouts to fire his health secretary if a crucial vote to repeal "Obamacare" fails. 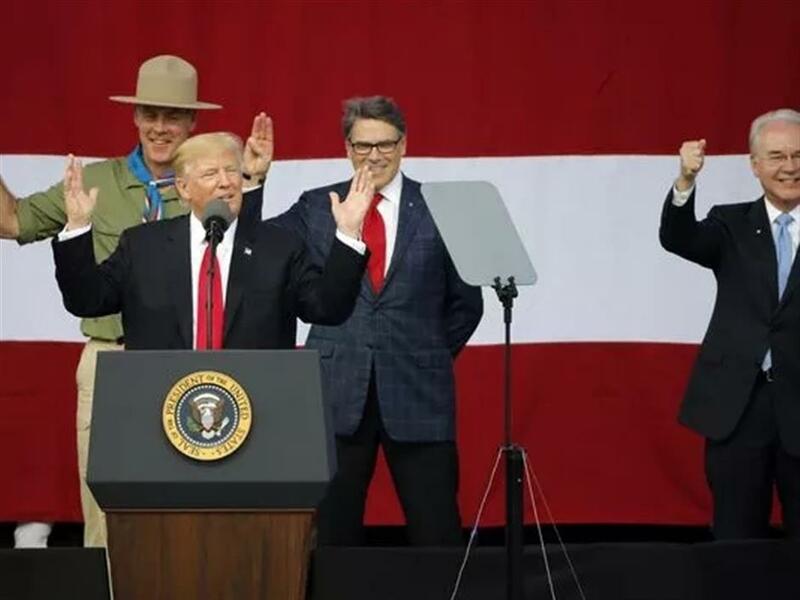 US President Donald Trump, front left, gestures with former boys scouts, Interior Secretary Ryan Zinke, left, Energy Secretary Rick Perry, center, and Secretary of Health and Human Services Tom Price, right, at the 2017 National Boy Scout Jamboree at the Summit in Glen Jean,W. Va., July 24, 2017.